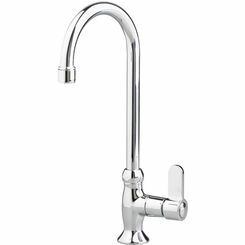 Anyone who uses a kitchen commercial sink in their profession knows just how important having a good commercial faucet is. 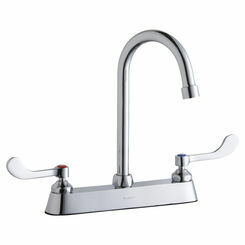 The right faucet can make all the difference when you are working with food and dishes on a consistent basis. 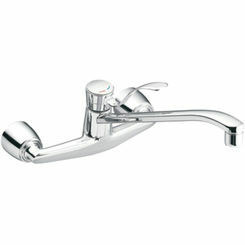 At PlumbersStock, we have hundreds of commercial grade kitchen faucets that offer a variety of styles and features. 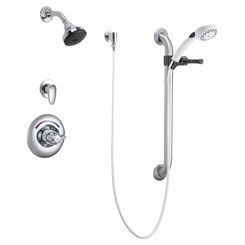 We have all different shapes and styles to choose from and are sure to have something to please everyone. 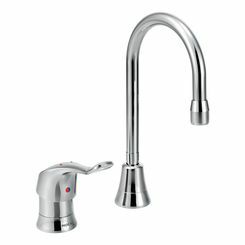 Check out our large selection of commercial kitchen faucets (brands like Delta, Elkay, Moen, Grohe) as well as commercial faucet parts. 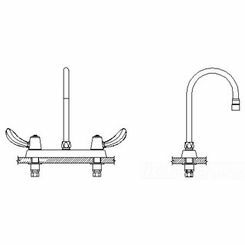 In a professional atmosphere, you need commercial kitchen equipment that allows you to perform efficiently, sanitarily, and you want equipment that lasts. 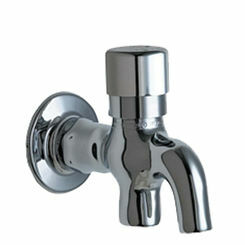 Sinks and faucets that do fine in the home will not necessarily be adequate in a commercial setting. 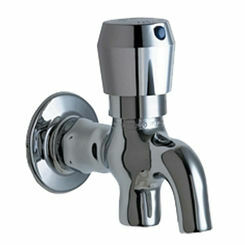 Nothing is more frustrating than when you have a faucet that is cheaply made or a sink that is too small. 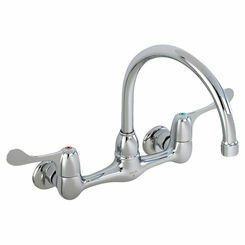 There are so many different kinds of faucets to choose from. 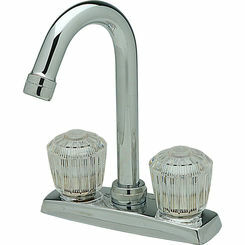 If you are someone who is constantly washing your hands or has your hands full when you are trying to turn on the sink, you will want to find something that is easy to turn on and off. 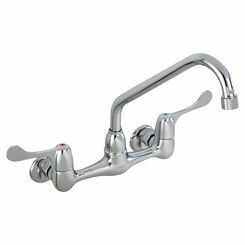 In many cases, a one handle faucet is perfect for situations like this. 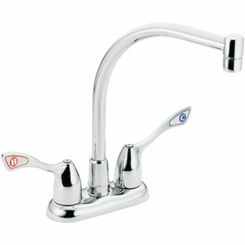 Touch sensor capability is great as well. 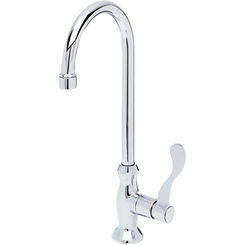 You can easily turn the water on without using your hands. 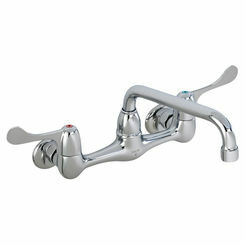 Be sure when you are shopping for your commercial fixtures that you find something that suits your needs. 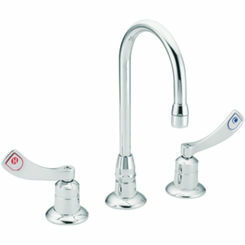 Do You Need a Commercial Kitchen Faucet with Sprayer? 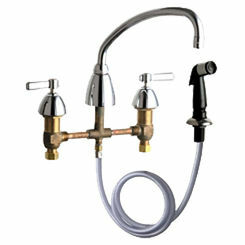 A kitchen sprayer is something very handy to have as a sidekick to your faucet. 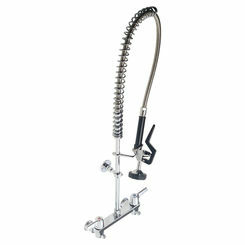 Sprayers make it easy to keep your sink clean, they make it easy to fill up large pots, and they make it easy to spray off stubborn food on your dishes. 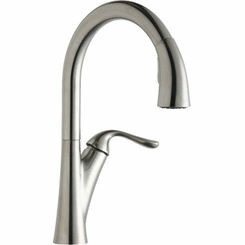 Before you select a kitchen faucet without a sprayer keep in mind all the useful things a sprayer can do. 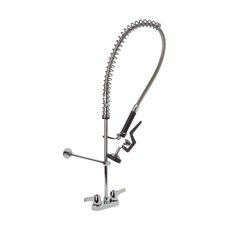 Whether you are looking for commercial kitchen faucet features, or the bare bones, you will find everything you need right here at PlumbersStock. 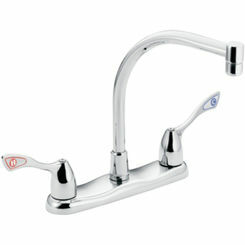 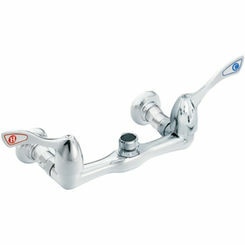 At PlumbersStock, we take pride in the large selection of commercial grade kitchen faucets that we have to offer. 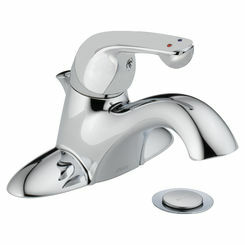 When we say we have something for almost everyone we mean it.  As you scroll through our site, you will fall in love with all the amazing products we have to offer. 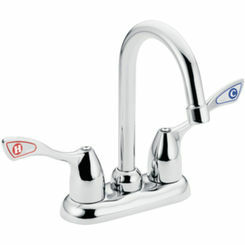 Let us help you find the commercial faucet of your dreams.